Sykes Holiday Cottages01244 500579work Holiday Letting AgencySykes Holiday Cottages are the leading UK holiday cottage booking company with a fantastic range of self-catering cottages located across the whole of Wales. Our properties are suited to cater for everyone, including your four-legged friend. Whether you are on a big family holiday or romantic couple getaway, we have a cottage for every occasion. Relax under the stars whilst soaking in a hot tub or cosy up in front of a warming open fire; with 25 years’ experience, we are experts in finding your ideal home away from home. 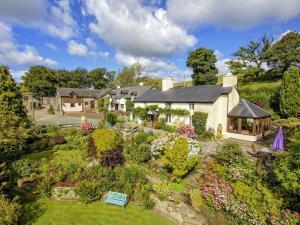 With more self-catering cottages added to our website every day, you will be sure to find the perfect Welsh holiday home. From traditional rural cottages and luxury manor houses to properties along the coast and everything in between, your perfect place awaits. Sykes Holiday Cottages are the leading UK holiday cottage booking company with a fantastic range of self-catering cottages located across the whole of Wales.